Although it is one of the newer courses in the Costa del Sol region, Santana Golf and Country Club has the look and feel of a mature club. 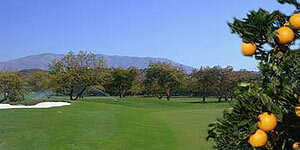 Set among thousands of orange and avocado trees, Santana offers open fairways kept to the finest standards. Relatively flat and somewhat shorter than many courses in the area, Santana is a good course to walk.